Asia contains some of the world’s fastest-growing countries. Key among them is India, a harmonious gathering place that is home to three of the continent’s most-practiced religions, including Hinduism. 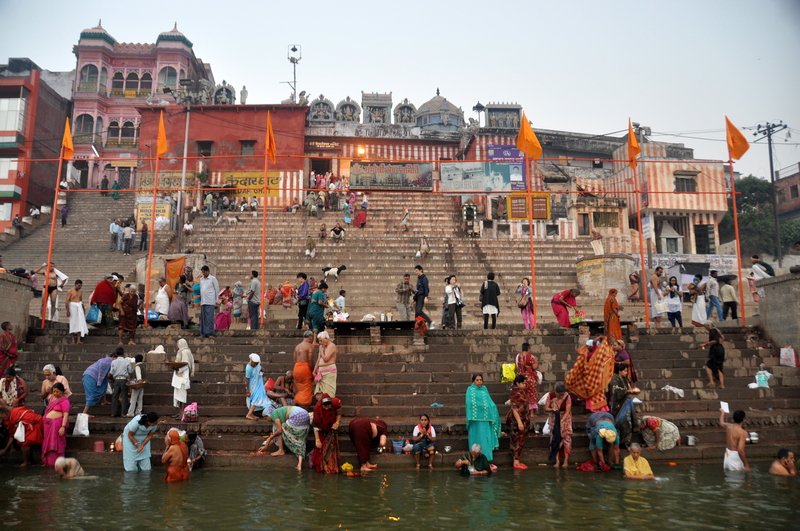 If you want to get up close and personal with Hinduism, you simply must visit Varanasi, where bathing in the sacred waters of the River Ganges – Mama Ganga to the locals – is a spiritual rite of passage. Indeed, the people I encountered in Varanasi were among the happiest locals I have ever met. 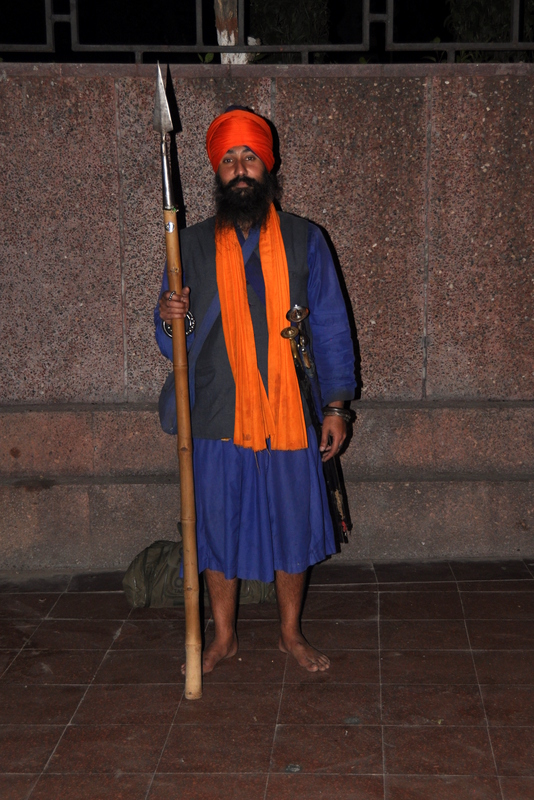 Further north, almost on the India-Pakistan border, the milky waters of the Golden Temple, in Amritsar, attracts devout Sikh worshippers. Elsewhere in India, I love this splash of color on the grounds of the Taj Mahal. 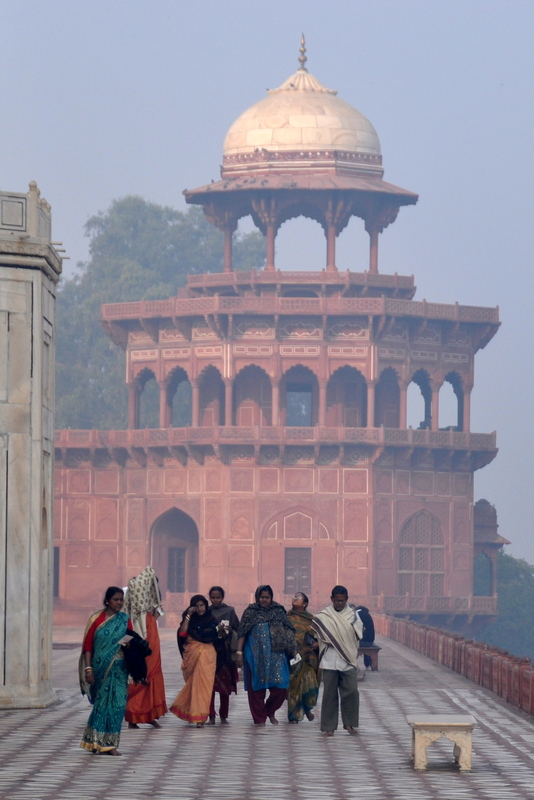 Although the women in the picture are wearing saris, typically associated with Hinduism, the Taj itself was built in the Islamic style, and the tower behind them was part of an on-site mosque. 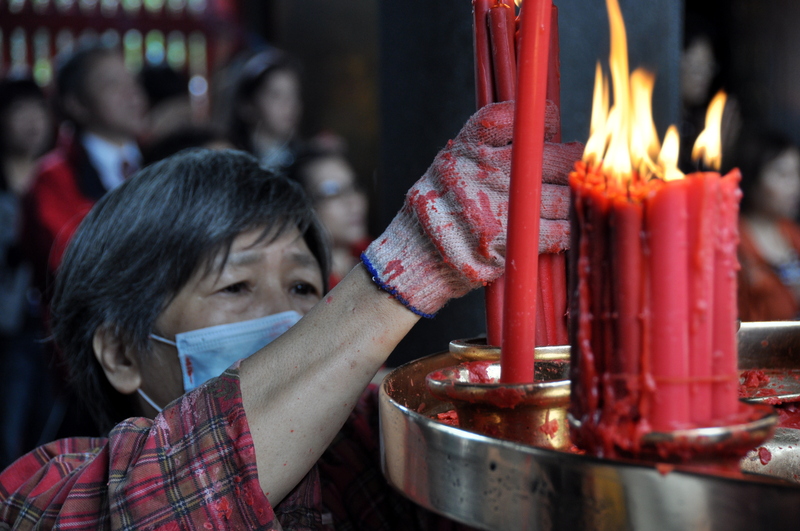 Religion is also part of life in East Asia, although it is predominantly Buddhist, as is the case in Taiwan. The sprawling Longshan Temple complex, in Taipei, attracts so many worshipers that it must employ a full-time helper to keep the wax drippings under control. …perhaps because everyone chose to commute by moped instead? On the opposite side of the continent, civil war has been raging in Syria since 2011. 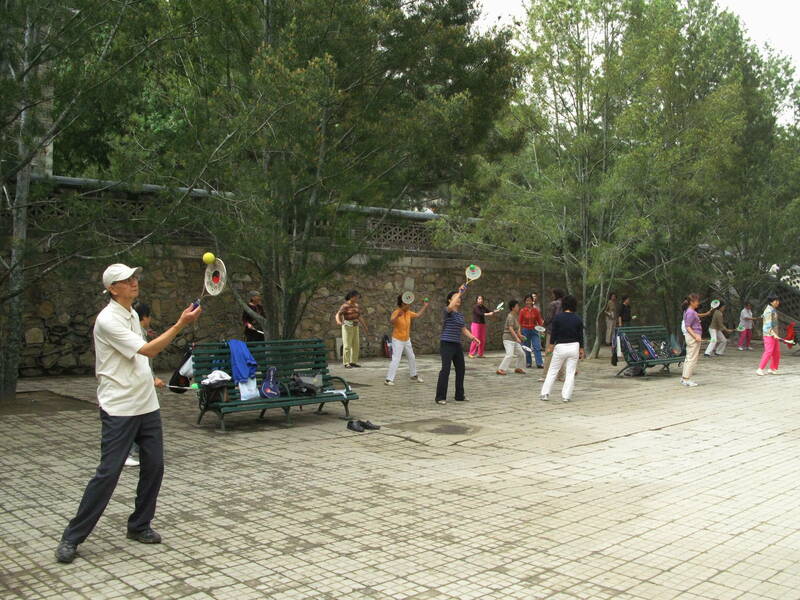 During my 2007 visit, however, things were calm, and there was even time for a bit of cross-cultural exchange. These women, photographed at Tikiyya Al-Sulaimaniyyah Market, attended college in Damascus. Caught in the act! 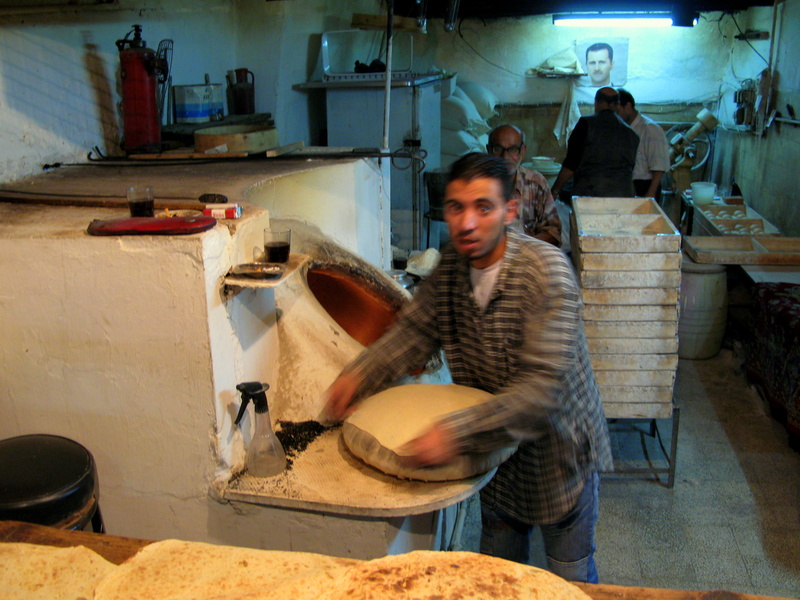 This Syrian dough maker seems surprised, although he consented to the picture before hand. Note the poster of Assad on the back wall. 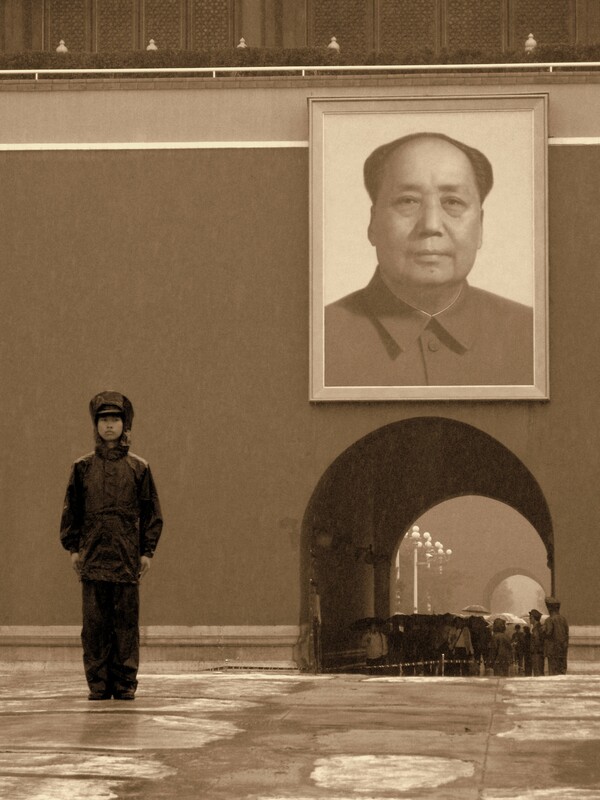 Nearly every business had such a poster; I later learned that the posters hung simply so that those businesses would avoid harassment by the national police. Our guide, Masjid, somewhere in the depths of medieval Damascus. Masjid was a font of knowledge about the region’s biblical and political history. Alas, my travel companions and I lost contact with Masjid. As with the university students and the bread maker in the previous pics, his fate remains uncertain. 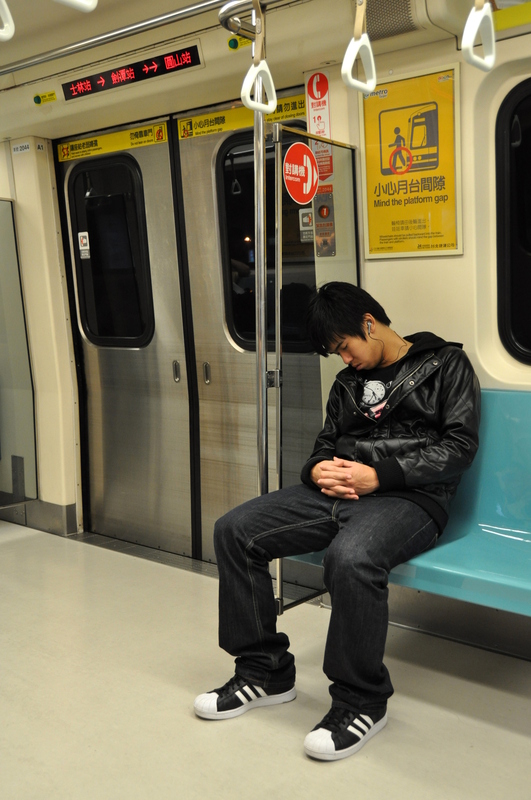 China, the most populous country on earth, is home to almost 1.4 billion people. 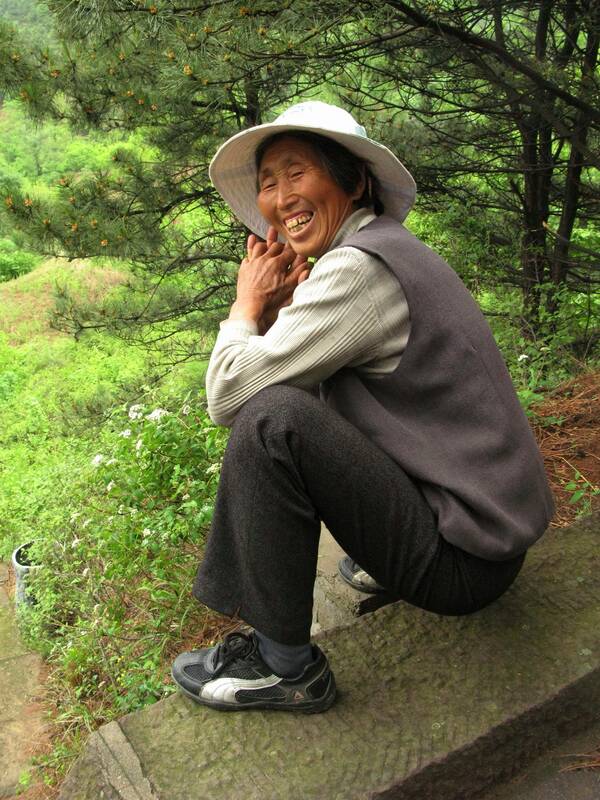 Although I met only a fraction of a fraction of a fraction of a percent of the people there during three separate trips to the PRC, almost all of them, including this peasant woman near the Jinshanling Great Wall, were quick to smile. 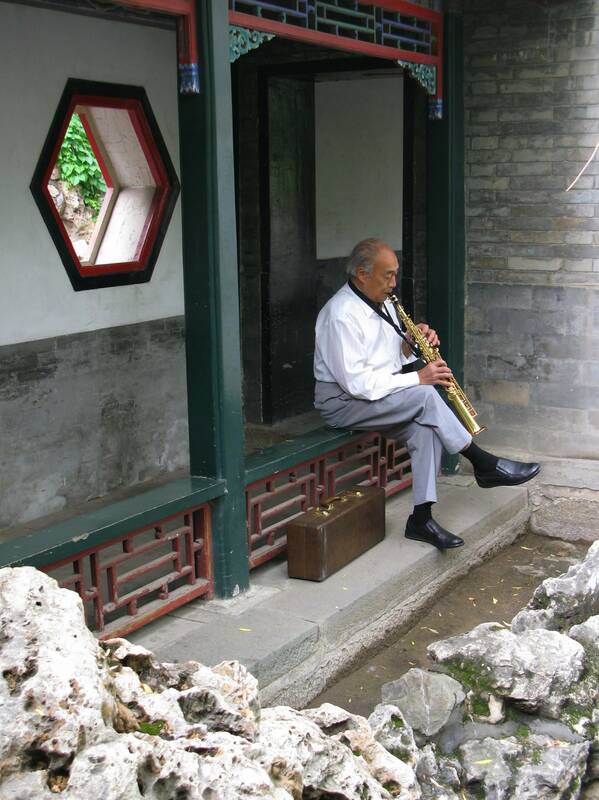 …or as staging grounds for impromptu clarinet solo performances. 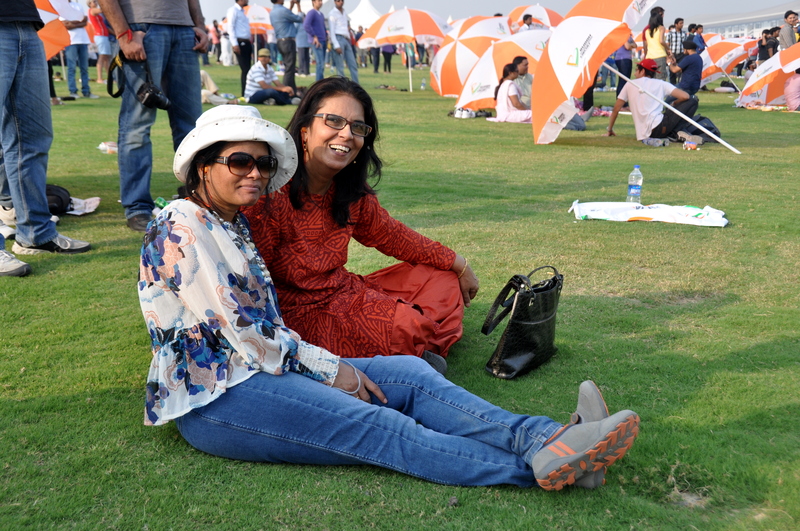 Asha and Maya, mother-and-daughter hosts of Maya’s Nest Hostel, in Delhi. 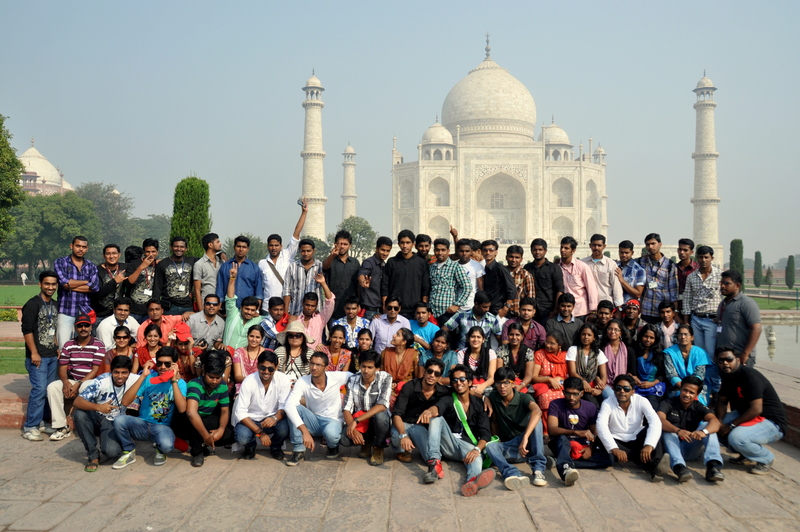 They invited me to India’s first-ever (2011) hosting of the F1 Formula One auto race. 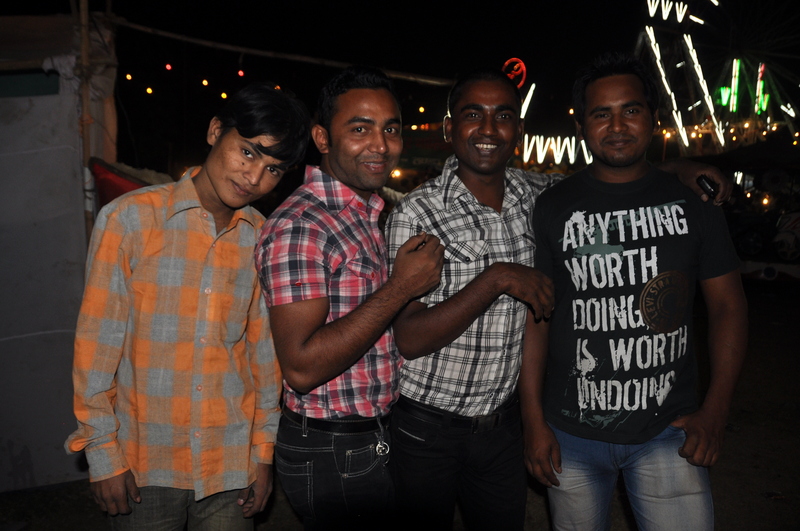 Everywhere I went in India, locals – especially males – asked me to take some “snaps” of them. The children were just as inquisitive. 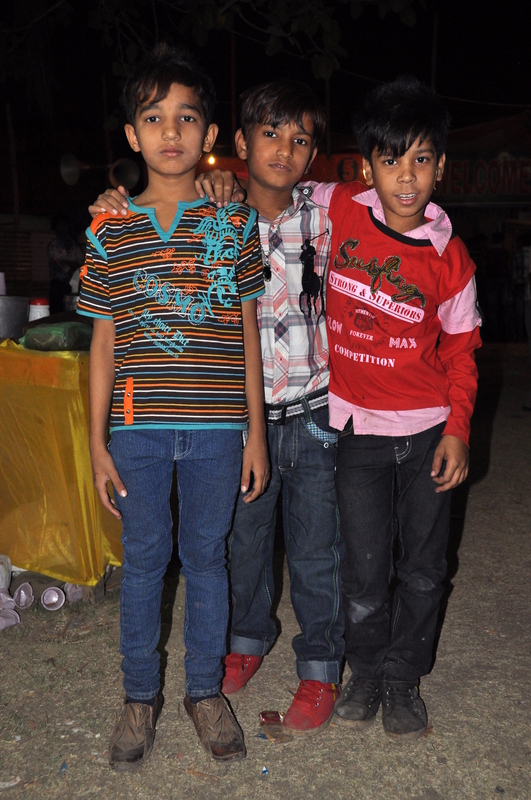 This picture, and the one before it, was taken at a carnival outside the Red Fort in Old Delhi. 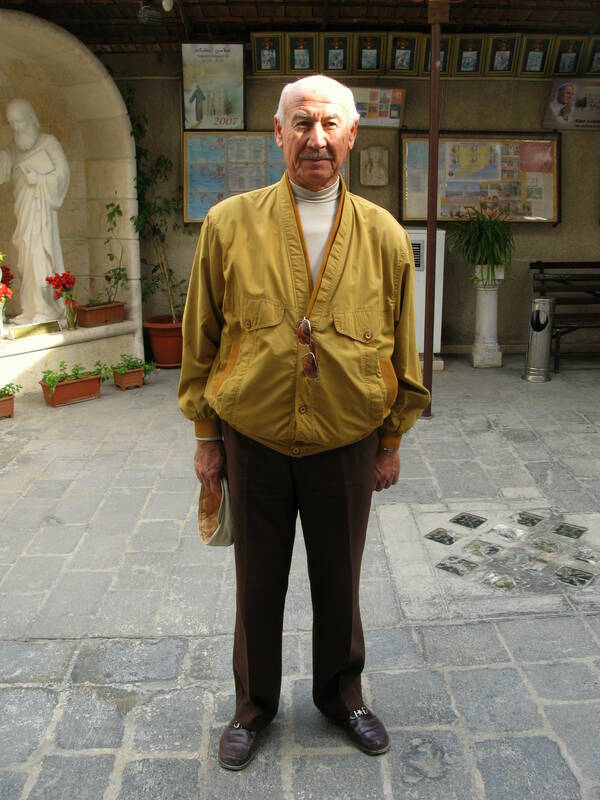 Who is that fashionable, golden-shirted man in the picture above? 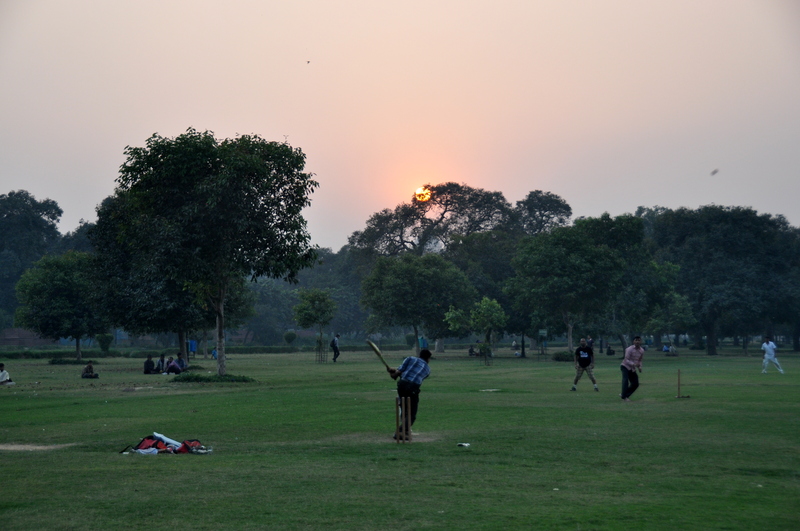 Cricket at sunset, near the Rajpath, Delhi. This beautiful child was selling floating floral candles to set on the River Ganges during Varanasi’s nightly Ganga Seva Nidhi ritual. 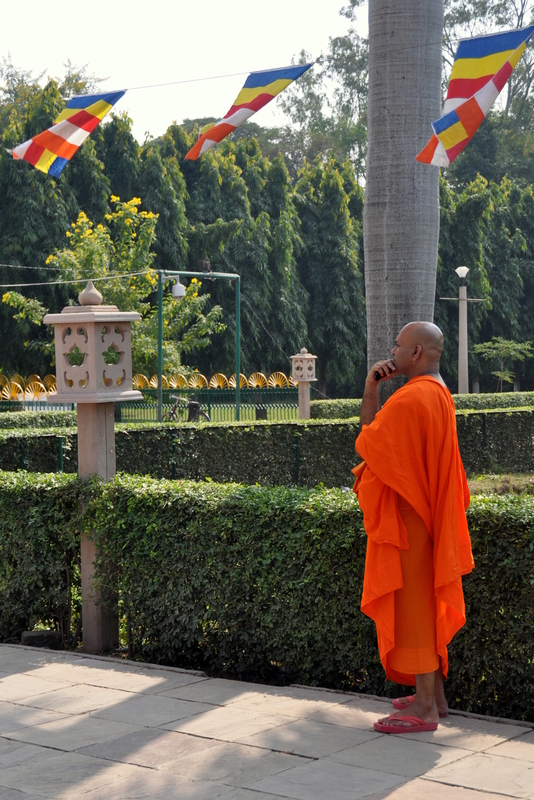 Buddhist monk at Sarnath, the Indian town where Buddha first gained enlightenment. Fearless Leader, fearless soldier. Forbidden City, Beijing. 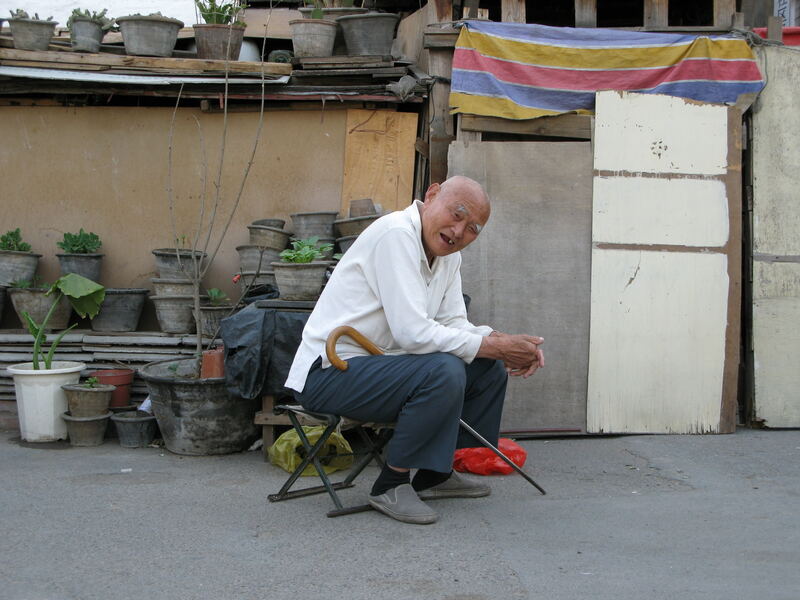 Elderly Hutong resident, Beijing. Note that many hutongs – traditional residences along narrow alleyways – were razed for construction of the “Bird’s Nest” and other Olympic venues. 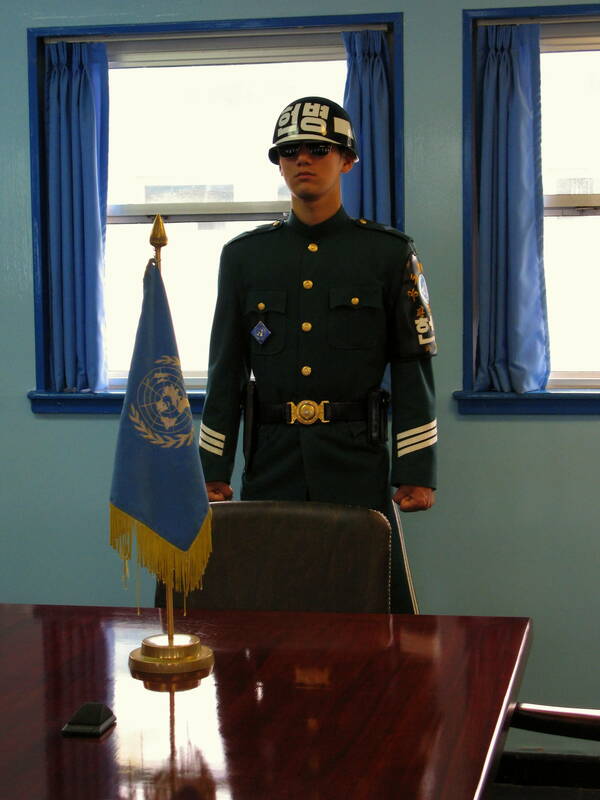 Striking a pose at the DMZ between North and South Korea, an area that has been in the news a lot lately (although this picture was taken in 2007). 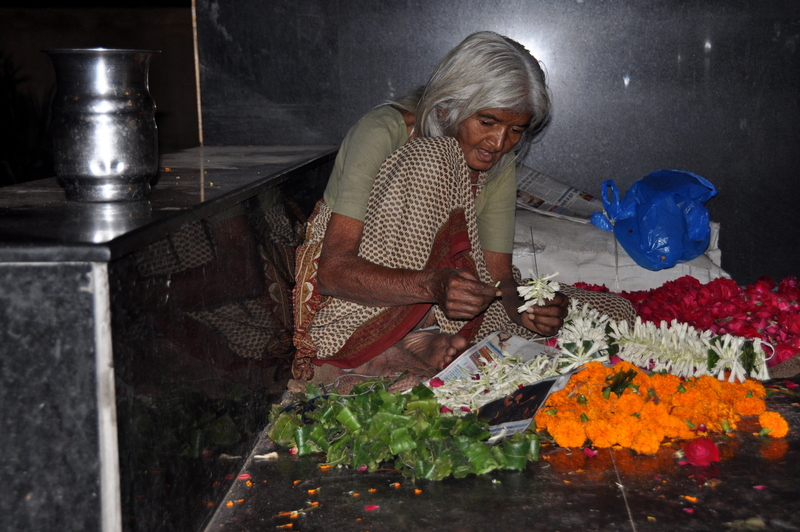 Floral lei maker outside Hanuman Mandir Hindu temple, Delhi.